Polestar is proving itself a force to be reckoned with. Volvo has a reputation for safety and reliability, but tuning company Polestar has been transforming its sedate sedans and SUVs into savage performance machines. Now officially part of Volvo with plans to produce its own-branded electric cars, Polestar has proven itself a force to be reckoned with alongside Audi, BMW and Mercedes’ performance divisions. This time, Polestar has turned its attention to the Volvo XC60, giving the family SUV a performance upgrade and numerous optimizations that make it more desirable to drive. The upgrade bumps up the top spec XC60 T8 hybrid to 421 hp. That may sound like a modest increase since the standard XC60 T8 already produces 407 hp, but it’s enough to make the Polestar XC60 T8 the most powerful road-going Volvo ever alongside the optimized XC90 which has the same powertrain. 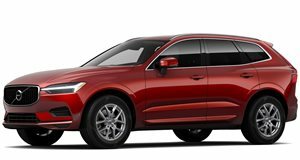 No sprint time was provided, but for reference the standard XC60 T8 takes 5.1 seconds to reach 62 mph from a standstill. Polestar has improved the throttle response both on and off, and the gearbox shifts faster. The engine enhancements are designed to provide more power and torque in the mid-range of the engine, which is the area most often used in everyday driving.